- Common box packing / Gift box packing . 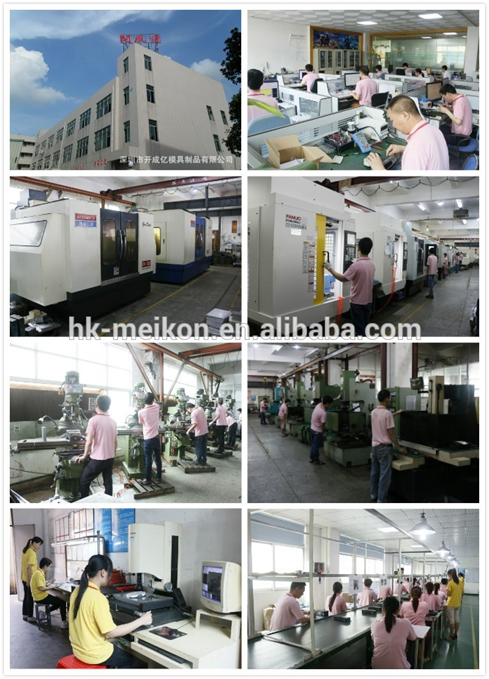 - OEM and Customized packing is welcome. 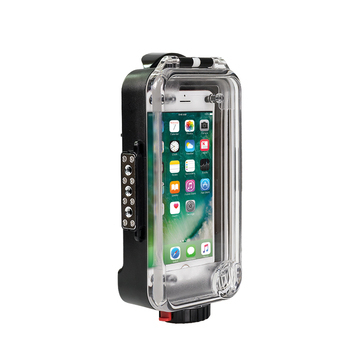 Sea Frogs housing for the iPhone 8 Plus/7 Plus/6 Plus is a photo and video imaging solution for water sports enthusiasts & athletes who have traded their digital cameras for the simplicity and capability of the iPhone. 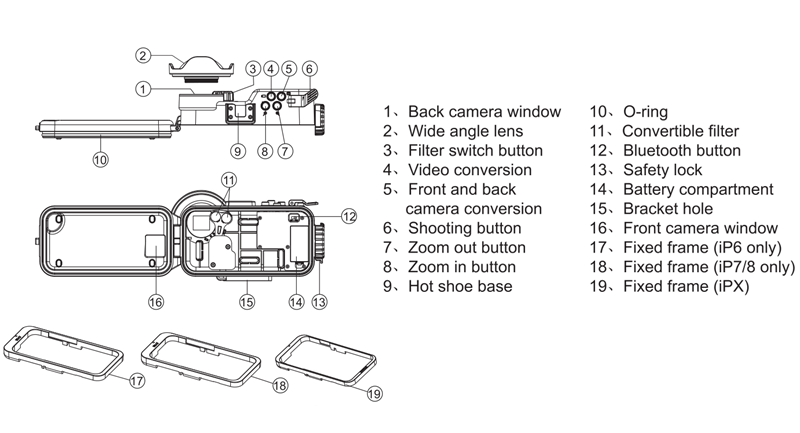 The camera is controlled by Bluetooth is turned on in your device, connect to the smart housing APP and put the phone into the housing! Easily confirm the housing is protected by using the optional vacuum sealing system. 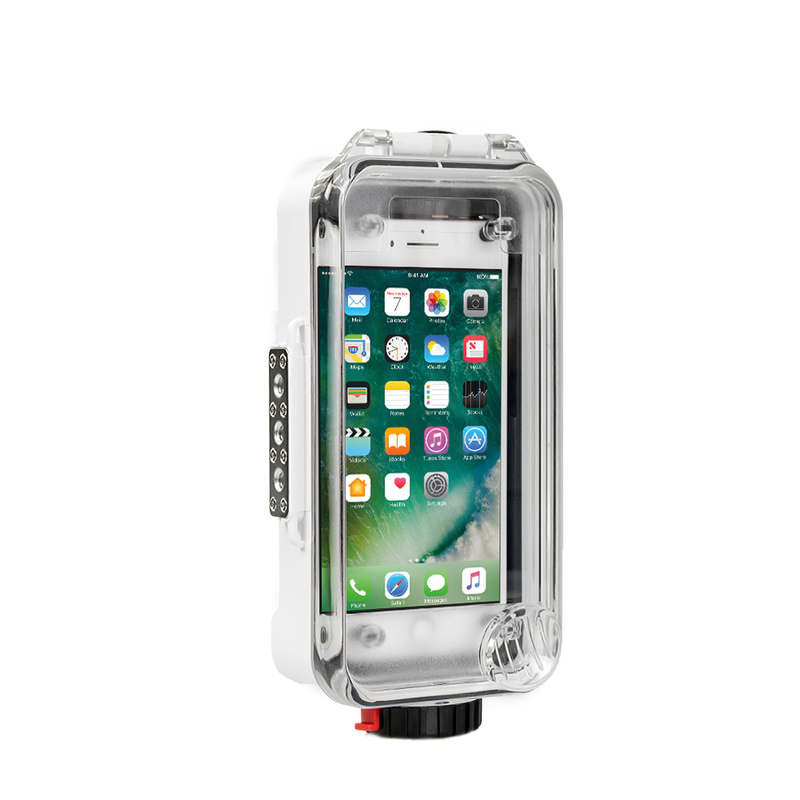 This compact digital housing is molded of corrosion free ABS-polycarbonate, it is virtually indestructible with heavy duty walls that allow it to operate safely to 60m(195 feet). The unit comes complete with a glass lens port, lens bezel for the included wide angle converter and a samrt yet simple mounting system consisting of an integrated, robust tripod mount with available adapter to utilize endless GoPro mounting options. 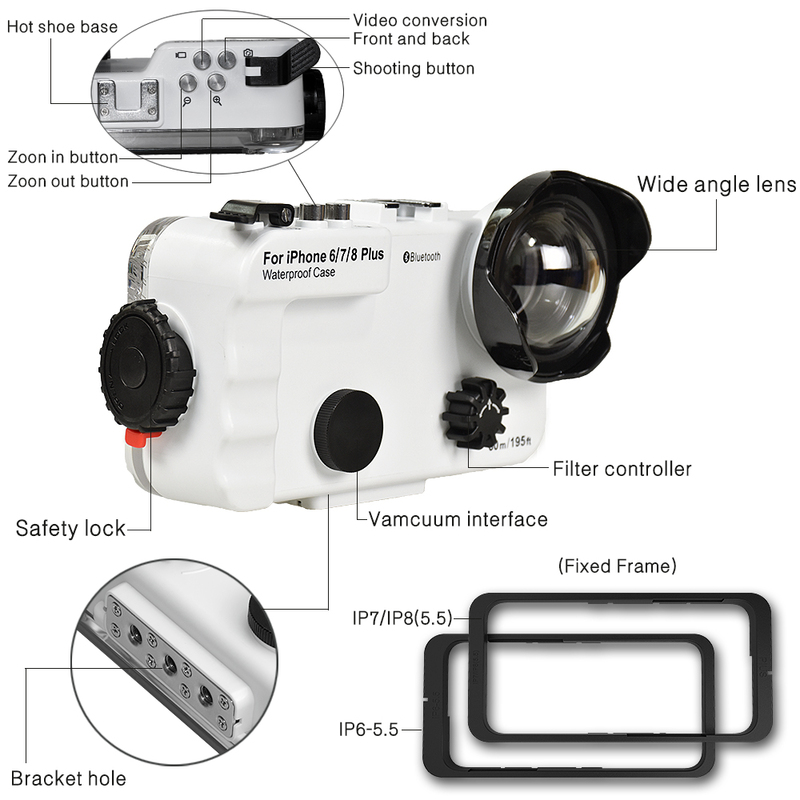 14Easy open latch and drop in camera loading make set-up a breeze. 16Internal color filters replace some of the reds, oranges and more natural tones that would otherwise be lost underwater. Effective in relatively shallow, sunny conditions. 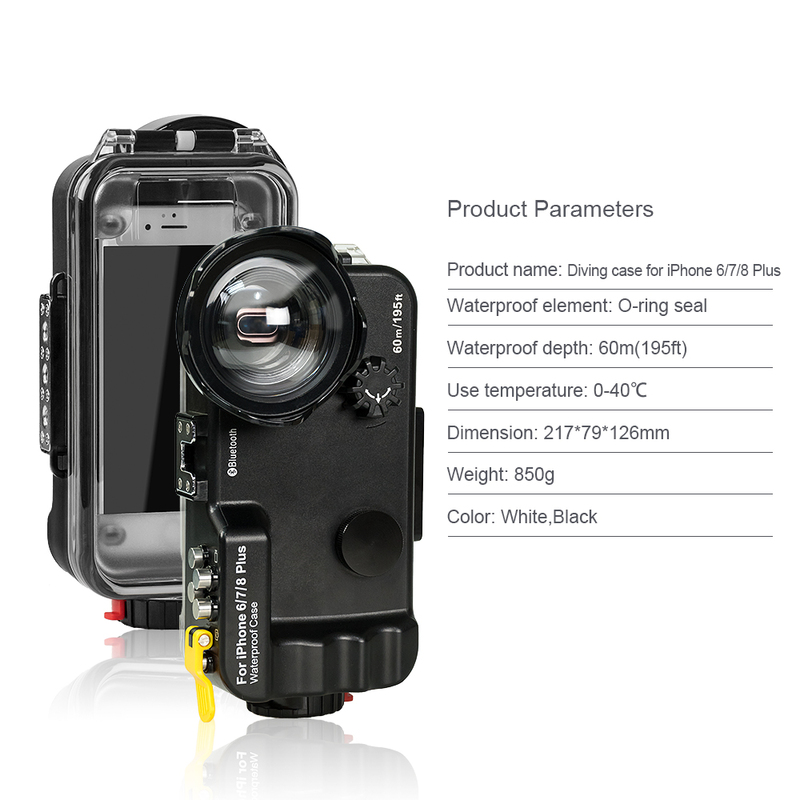 Our underwater housings range from Canon , Sony, Panasonic, Olympus, Fuji, Nikon, Gopro to phones. 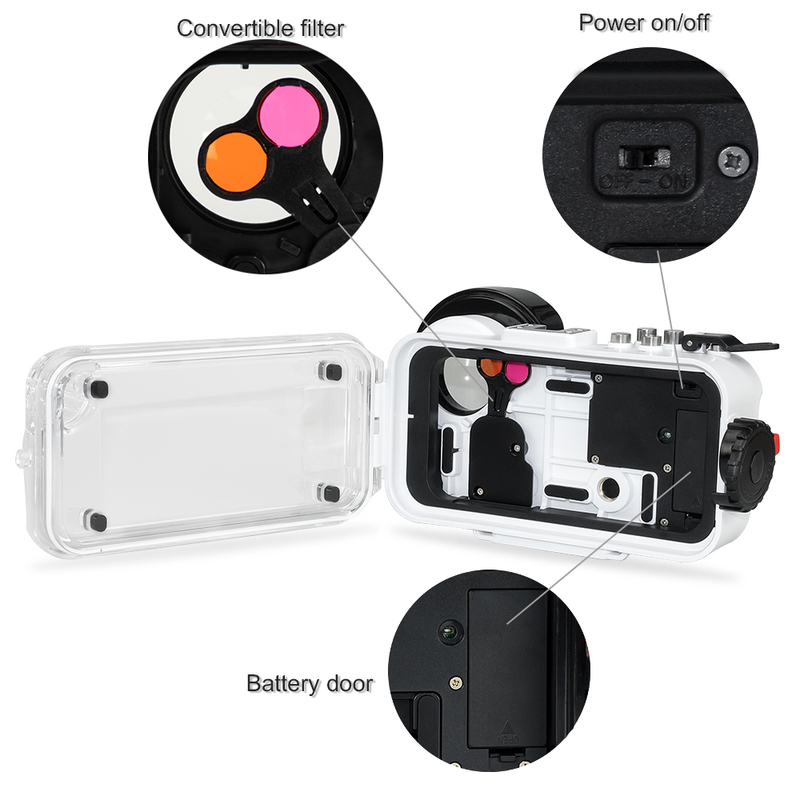 The housing is either made from poly carbonate or aluminum alloy. 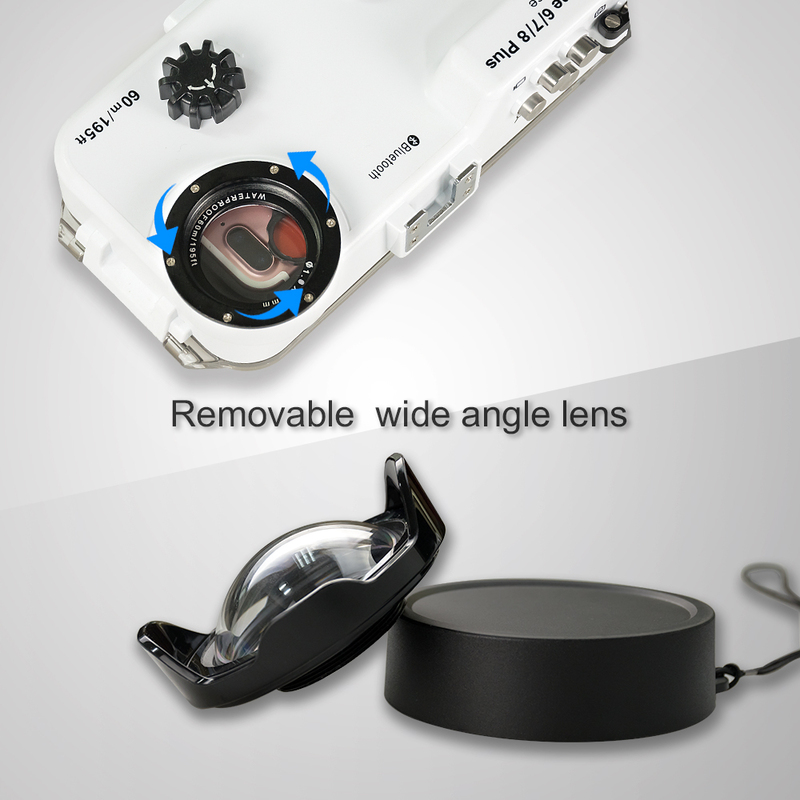 The durable polycarbonate underwater housings can be used within 40-60 meters sea, and aluminum camera housings can be used under 100 meters sea. All Meikonhousings must be tested in a simulative under sea air and water pressure equipment and double checked by our QC team after finishing doing them. Quite competitive and reasonable price. 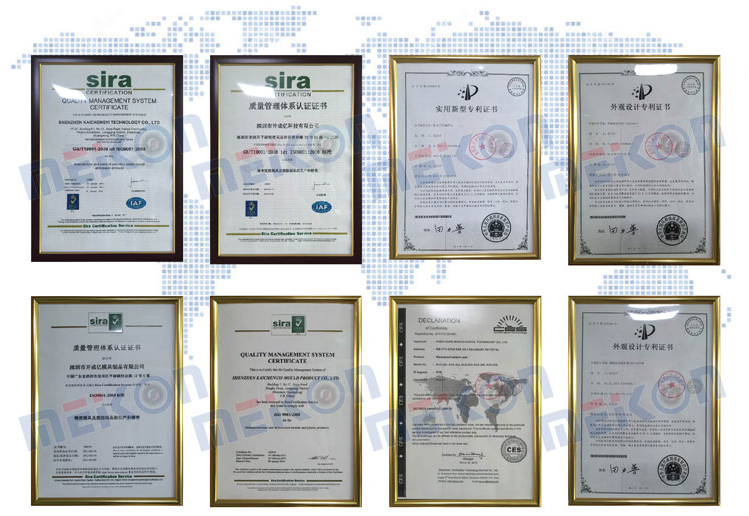 A most strict QC standard in the industry is implemented. As long as 24 months' after-sale service. 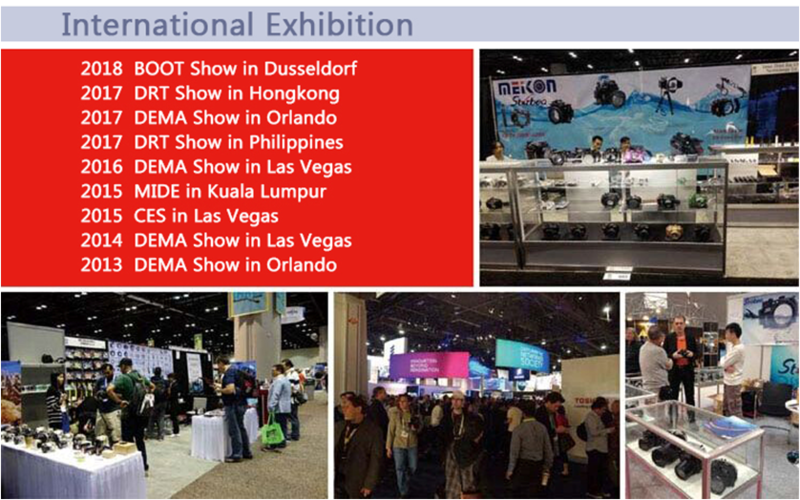 Strong ability to develop new products ,with a dedicated R&D department.